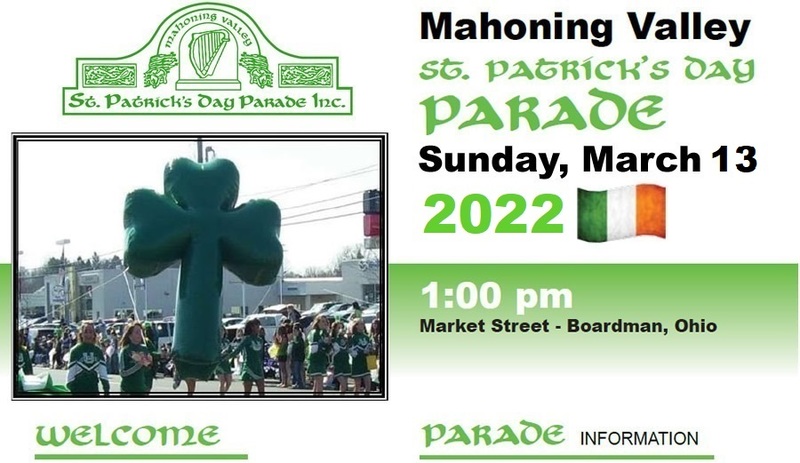 This year the Mahoning Valley St. Patrick's Parade celebrates its 38th Anniversary! If your group, marching band or organization would like to participate please click here or on the "Forms" link above. Our theme this year is "The Claddagh - Love, Loyalty, Friendship". The Mahoning Valley St. Patrick's Parade is one of the largest parades in the state of Ohio. Each year 25,000 to 30,000 spectators come out to celebrate this beloved family tradition. Media Sponsors of the parade are WFMJ TV-21, Cumulus Radio and The Vindicator.